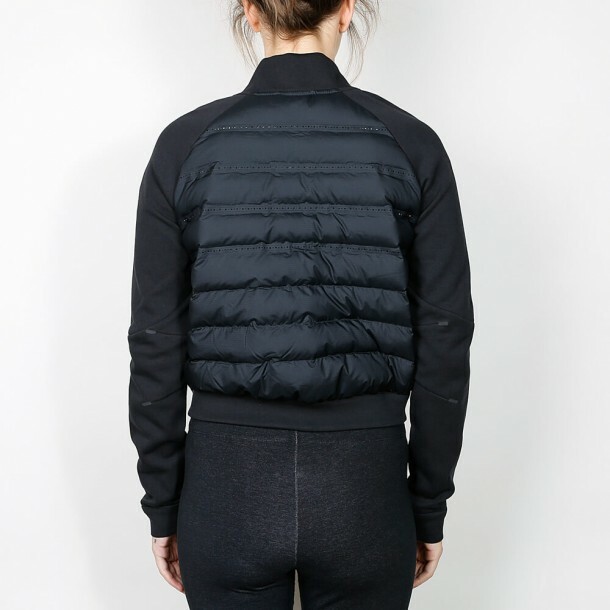 This plain and all in all black Moto jacket for women from the Nike Tech Fleece Aeroloft Collection 2015 has a material that's made of Nike's own Tech Fleece and is by use of the Aeroloft technology in fact thermo-regulating. At the back and at the level of the ribs the Moto model's got a down layer in addition. It's perforated so it's not just warm, but also breathable. The jacket's got two pockets at the frontside as well as side-on zipper.